Both the mirrorless and DSLR cameras are great for photography, but each has its advantages and downsides that you ought to consider before buying one for your hobby or profession. In this post, we have reviewed and compared the top features of each model to help you purchase the right one for your photography or cinematography needs. • The mirrorless camera is slim and light. Mirrorless cameras’ slim size is their primary selling point. Unlike their bulky counterparts, the mirrorless cameras are an ideal option for highly mobile photography hobbyists or professionals who are looking for a light and compact gadget that they can conveniently carry around or fit into a camera bag. However, it is imperative to note that some mirrorless cameras, more so those with an APS- C sized sensors can feel bulky because of their massive lenses and other additional features like large grips. On that account, if you want to invest in a compact sized mirrorless camera, we recommend that you shop around for one with retractable or power zoom lenses. Some of the great options that you would consider are the Panasonic and Olympus models. In most cases, the mirrorless cameras from the duo giant manufacturers use small and light sensors. Despite the fact that DSLR cameras are relatively bulky, you can still find a portable sized DSLR. In fact, some DSLR camera manufacturers have resorted to reducing the size and weight of their cameras to cater for the needs of photographers who would love to purchase a DSLR, but not a bulky one. • Some DSLR cameras like Nikon, Canon, Sony, and Pentax accept a variety of lenses for professional photography and cinematography. • Most mirrorless cameras restrict you to select lenses. However, mirrorless cameras from manufacturers like Fujifilm, Panasonic, and Olympus may accept a variety of lenses. 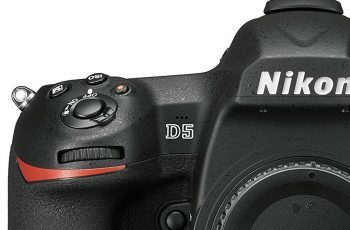 Despite their bulky nature, DSLR camera would be a sound investment for any photographer or hobbyist who is looking for a camera that he or she can customize according to their unique photography needs. This is because a DSLR accept an extensive range of lenses from the manufacture as well as third part manufacturers. The multiple choices let you pick those that suit your photography needs as well as budget. On the other hand, you can consider investing in the mirrorless camera if you are comfortable with the limited choices accepted by your camera. Despite the restricted choice, some mirrorless brands like Olympus and Panasonic use the Micro Four third lenses which are powerful enough to deliver similar photography results as those you will find in a DSLR. • DSLRs’ optical view provides a lag- free viewing. • Mirrorless cameras let you view a digital presentation of your scene before you capture it. However, its preview might be grainy or jerky in low light settings. As a norm, DSLR cameras use an optical viewfinder instead of an electrical viewfinder used in their mirrorless counterparts. In the opinion of professional photographers who have used both viewfinders, the optical viewfinder used in DSLRs gives you an exact preview of what your camera will capture. On the other hand, mirrorless cameras have an electronic viewfinder that gives you a preview that is closer to what the final image captured will look like. The primary downside of an electrical viewfinder is that its preview might be dull or jerky when capturing fast-moving subjects or when shooting in scenes with low light intensity. Some modern mirrorless cameras come with an upgraded electronic viewfinder that can exceed the performance of an optical viewfinder. The improved viewfinders have a digital feature that lets you regulate the brightness and contrast to favor your photography demands. So, what camera has the best viewfinder? Both cameras have an excellent viewfinder that can deliver consistent results in most photography settings. • DSLR use both the phase and contrast detection autofocus, which make it an ideal option for tracking fast subjects. • Mirrorless cameras use either the contrast detection autofocus or a hybrid autofocus made up of the phase detection and contrast detection sensors. Traditionally, most photographers preferred DSLR cameras to mirrorless cameras due to their phase and contrast detection autofocus that measured the convergence of two beams of light quickly. They disregarded the mirrorless cameras because they utilized the contrast detection autofocus that is slower especially in dim light. Today’s mirrorless cameras utilize a hybrid autofocus with both the phase detection and contrast detection autofocus. On that account, the modern mirrorless cameras will let you capture images quicker than the traditional models would. Some of the mirrorless cameras with the hybrid autofocus are Sony a6300, which comes equipped with a 425-phase detection AF, and Nikon D3400, which utilizes an 11 phase detection autofocus. Other mirrorless cameras that use the hybrid AF systems are Olympus OM- DE- M1 and Fujifilm X- T2. In regards to the autofocus, we can say that both camera types offer a reasonable performance. However, DSLRs may not be an ideal option for shooting in live view mode since the camera’s phase detection does not work when the mirror is up. • DSLRs have a slower shooting speed than mirrorless cameras. • Mirrorless cameras have a high shooting speed. If you intend to capture action shots, then you will want to invest in a camera that comes with an excellent continuous shooting speed. In this case, we would recommend the mirrorless camera because of the mirrorless design that lets you capture image after image in quick succession. To add to the bargain, some mirrorless cameras utilize either a mechanical or an electronic shutter that lets you capture a spurt of images in the shortest time possible. One of the mirrorless cameras with an outstanding shooting speed is Olympus OM- DE- M1 mark II with 60 frames per second. Besides the mirrorless cameras, there are also some DSLRs that come with a reliable shooting speed for continuous shooting. In fact, high-end models like Canon’s EOS- 1D X can compete well with most mirrorless cameras. • DSLRs offer a reasonable video quality since they support a wide range of lenses. • Mirrorless cameras have modern features like the 4K video capability and a live view AF that lets you record excellent quality videos. Some offer better videos than that of a DSLR. Initially, most video shooting enthusiasts preferred DSLRs since they could accept a broad range of lenses, a feature that let a camera’s user to tune his or her camera according to his or her unique photography needs. Currently, mirrorless cameras have gained the ground due to their innovative features like the 4K functionality and the live view autofocus. 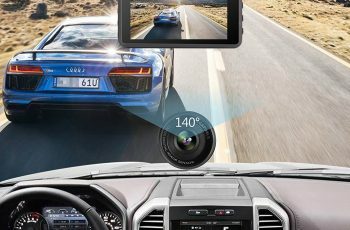 These two features let you record videos with four times the resolution of the standard HD footage. Only a few high- end DSLR cameras provide the 4K video functionality. Therefore, if you are looking for a camera that is ideal for shooting cinematic like videos, then it will be a wise decision to invest in a mirrorless camera. Some of the mirrorless cameras that are known to provide an outstanding video quality are Sony’s Alpha A7S II and Panasonic’s Lumix GH5. • Most mirrorless cameras have similar functional features as those found on DSLRs. Some mirroless cameras, however, have improved features. DSLRs and mirrorless cameras are almost similar in regards to the operational features and controls. Ideally, both types have pretty identical manual controls that are not hard to use, as long as you have some basic experience in photography. • Mirrorless cameras have similar sensors although some traditional models have smaller sensors. With regards to image quality, it would be prudent to say that both types of cameras offer high-quality images since they utilize the standard full frame sensors. However, you should be wary of some traditional mirrorless cameras that offer a low-quality image due to their smaller sensors. Some of the mirrorless cameras with a small size are those manufactured by Panasonic and Olympus using the Micro Four Thirds format instead of the standard full size. These mirrorless cameras offer a reduced quality image, but their slim size is great for photographers who want a camera that they can carry around conveniently. As such, both the DSLR and mirrorless cameras are great for taking photos as long as they utilize similar sensors and image processors. • DSLR cameras have an excellent battery life. DSLR cameras come with a powerful battery that can let you take several shots before it drains. On average, a fully charged DSLR battery can take 600- 800 shots while some more powerful models like Nikon D7200 will help you take up to 1100 shots. You can also extend your DSLR’s battery life by opting not to use its LCD screen. Different from the DSLRs, the mirrorless cameras have a weak battery that will only last for an average of 300 – 400 shots. Therefore, you will need to purchase spare batteries if you intend to take more than the average shots. As a rule, the market offers you a variety of DSLRs and mirrorless cameras ranging from the most affordable, reasonably priced, to the wildly expensive. If you want an affordable but feature-rich camera, we advise that you go for a DSLR model. An excellent example of an affordable but feature rich DSLR is Nikon’s D3300 that gives 24 megapixels, utilizes an APS- C sensor, and has an optical viewfinder. Its fully charged battery can take up to 700 shots. You can hardly find a mirrorless camera with such features at an affordable price. However, you can always shop around or bargain for a fair price. • DSLRs are bulky, but they offer reliable image and video quality. Moreover, DSLRs are reasonably valued, which makes them a great deal for low budget photographers. • Mirrorless cameras are compact, have innovative features, and they offer high-quality images and videos. However, they are quite pricey. 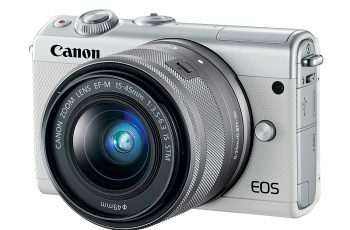 As is evident from the review above, both DSLR and mirrorless cameras are excellent for photography and cinematography. Therefore, the choice of what makes the best investment depends on the photographer’s unique photography needs.